This is a self-reflective piece that addresses ideas of memory within the context of the family and the domestic environment. 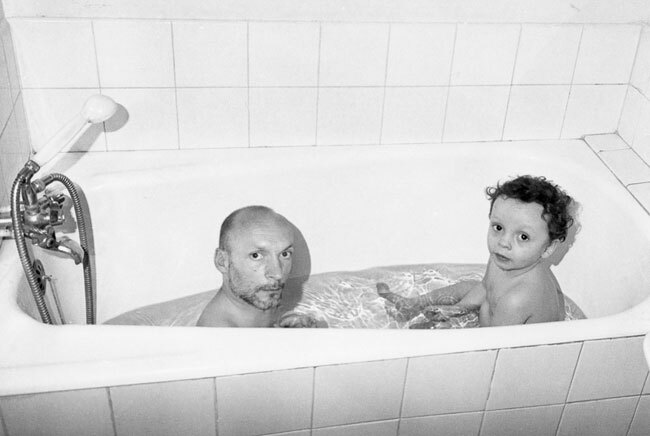 For this purpose, the artist uses the camera as a tool for the production and re-enactment of memories within the home. She presents scenarios that put forward a playful re-conceptualization of still life, creating and arranging scenes that rely entirely on the symbolic value of objects as reminders of people, lost feelings and past events. 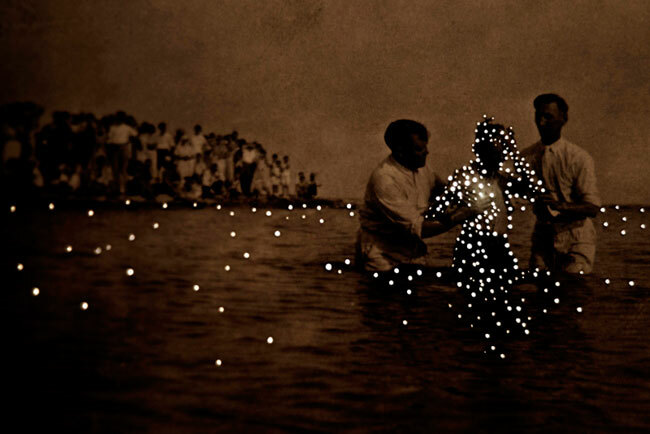 Using a collection of vintage photographs, retrieved from a variety of sources both personal and anonymous, through hand-manipulated interventions, the photographer has altered and subsequently re-photographed the images, “re-making” photographs that oscillate between what is present and what is absent. Appropriating personal photographic archives, the artist blurs the lines of family fiction through anachronisms, inviting his present self to stand alongside his past self. He overlays his face, his current appearance, on the faces of various relatives (brother, cousin, father) and thus, presents himself in two eras, both as a child and an adult, in a disconcerting one-on-one encounter. with the people and their existence, all becoming an seamless part of this work, where the photographer has immersed himself in the waters, carried away by its currents, the way a stranger immerses himself in the lives of locals, carried away by the intimacy they once shared. Water is a substance that one can only understand by being immersed in its essence. This project investigates the influence of modernity, media, politics, religion and youth culture in shaping the fragmented Iranian identity. 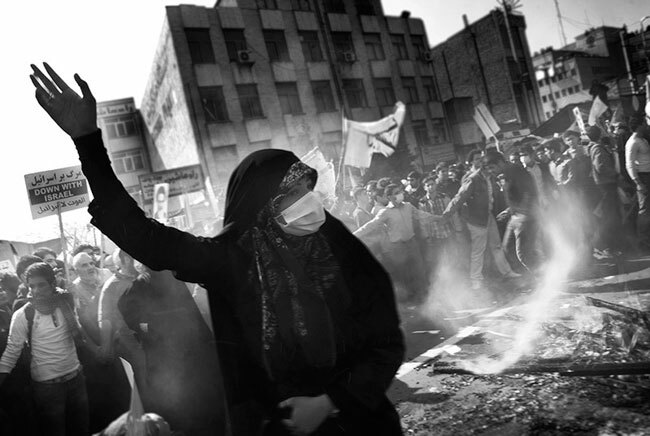 Iranian society is highly colorful in its essence, but it has become black and white on the surface, due to restrictions dictated by the government. This set of photographs attempts to throw the veil off this colorful identity and bring to light the fragmented paradoxical identity that Iranians have been forced to conceal under a mask of black and white. 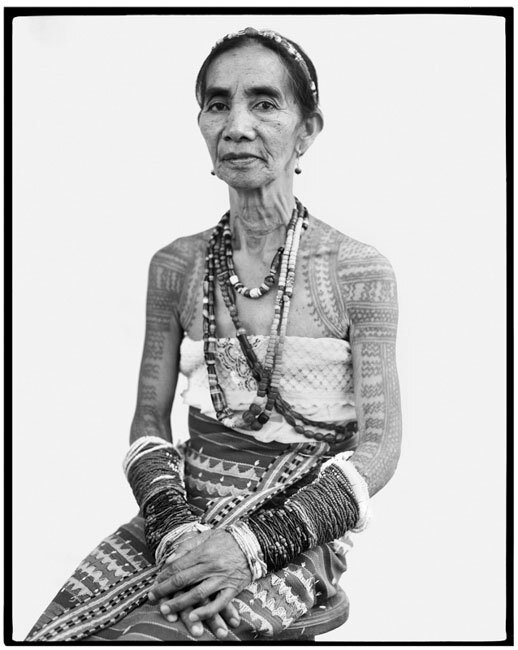 In The Last Tattooed Women of Kalinga, the photographer documents the delicate process of incorporating into history the record of a particular culture and milieu. There is a certain romanticism in trying to capture a dying practice, to document the last remaining people who are adorned with these tattoos, which used to be symbols of beauty, wealth, and honor, but are now seen as ancient and barbaric, and in the process, hopefully reverse this changing perception of beauty. 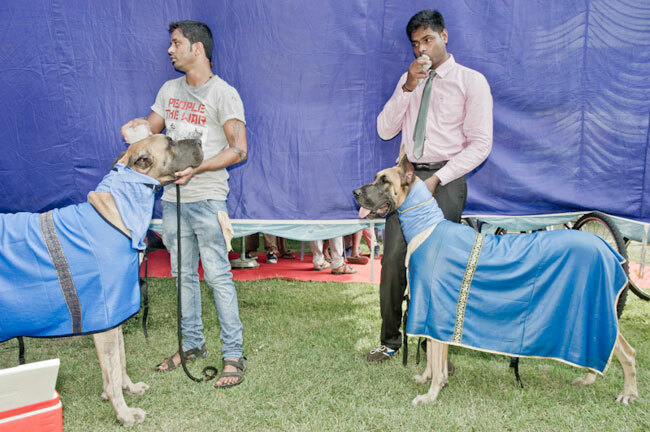 Winter in India is a busy time for dog enthusiasts and “professional” breeders. Each week, thousands travel to compete in dog shows. The breeders spend great sums of money importing pedigreed dogs, hiring professional handlers from abroad and flying these dogs to various shows across India. The average person may consider a dog show to be a glorified beauty pageant and a quirky and rather superfluous affair, but these photographs show that that perception might not tell the whole story. In this series, the photographer invited herself to the houses of others to “try on” their lives by photographing what she looks like in their routine outfits. She asks the wife, woman, mother to photograph her with their husband, boyfriend, baby in their bed, kitchen and bathroom. In the process of attempting to inhabit their lives, she discovers that dreams often do not suit reality perfectly. In the Sundarbans, an archipelago of islands in the Gangetic delta, physical boundaries are constantly being shaped and re-shaped by tidal waves. Here, time is lost. The landscape feels dense, visibility becomes deceptive and the air gets still. The atmosphere is unsettling yet calming. This project aims to explore the idea of boundaries between humans and nature in the Sundarbans – a place where boundaries are only conceptual mirages. Alive is a personal project that reveals the intimate memory of old photos and objects entrusted to Hak by local Cambodian families, 40 years after the Khmer Rouge regime. 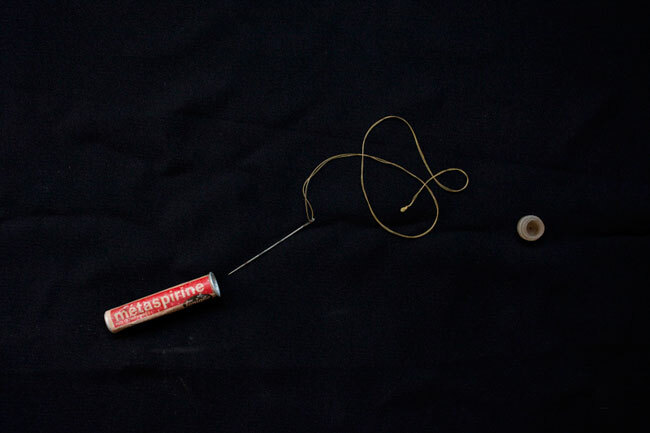 All these photographs and objects are deeply significant. They are evidence of the past and of survivors’ memories. These memories need to be kept alive and shared with future generations, both for remembrance and research. During the war for Algerian independence (1954-1962), women fought in large numbers. 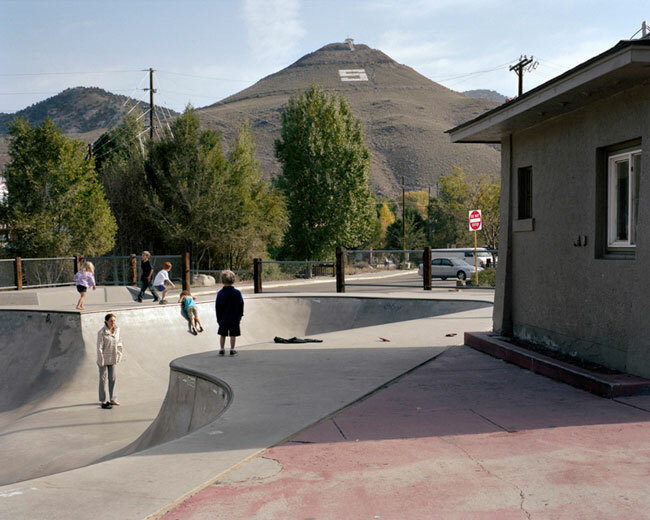 The photographer confronts this history with the present. More than 50 years separate old photos from the recent ones. 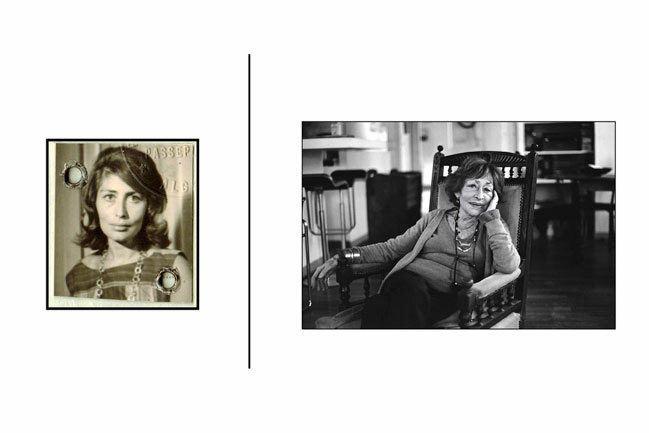 This diptych photography (in black and white) is built up from the biography of each of the women subjects during the war. 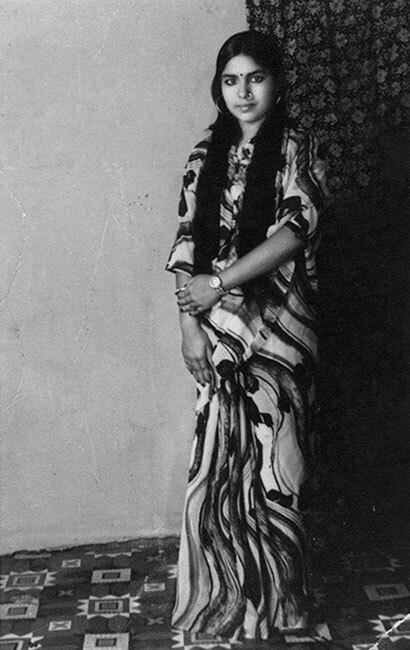 The aim is to portray the impact of the women’s fight on Algerian society and on the world in general. 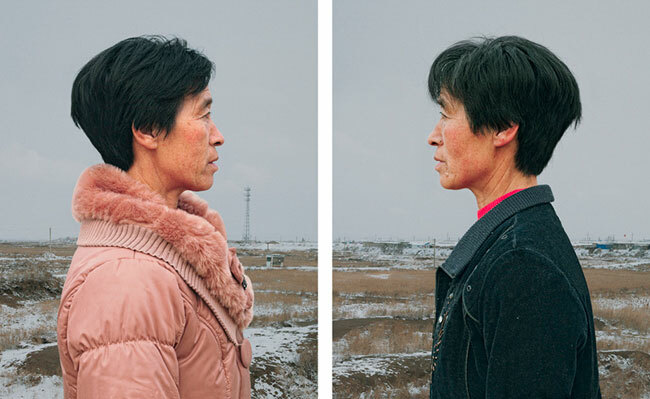 In these sets of pictures, the photographer has placed identical twins in their 50s face-to-face, to see if it is similar to looking at one’s image in the mirror, or if, with time and fate, they differ in temperament. In this work, the photographer uses archival photographs of her mother, re-photographing herself in the same posture and style, to explore the theme of memory, the process of maturity, the differences in each milieu and the inevitability of time. There is a tunnel in the Alps used by migrants to cross the Italian-French border, but they do not make it very far. On either side of the tunnel, the border police are waiting. 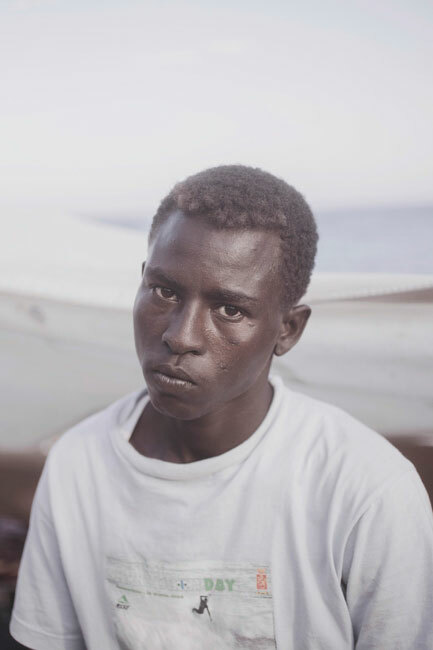 In between, migrants make many failed attempts to cross the border, waiting in makeshift camps on the rocks of the Italian coastal town of Ventimiglia. For a long time, the American West has been the destination of adventurers and pioneers, pushed either by vocation or need. At the end of this dynamic and historical phase, the Far West became the cultural cornerstone for the growing country. 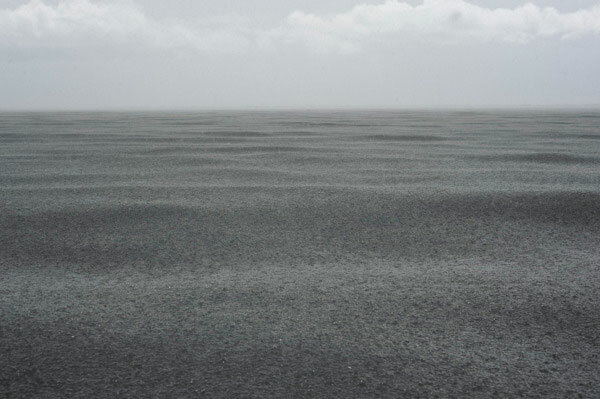 Immobility and stillness distinguish the condition of the contemporary West. Although some environmental and cultural changes have impacted the region, they have been unable to free this land of its notorious iconography and the history it stands for.